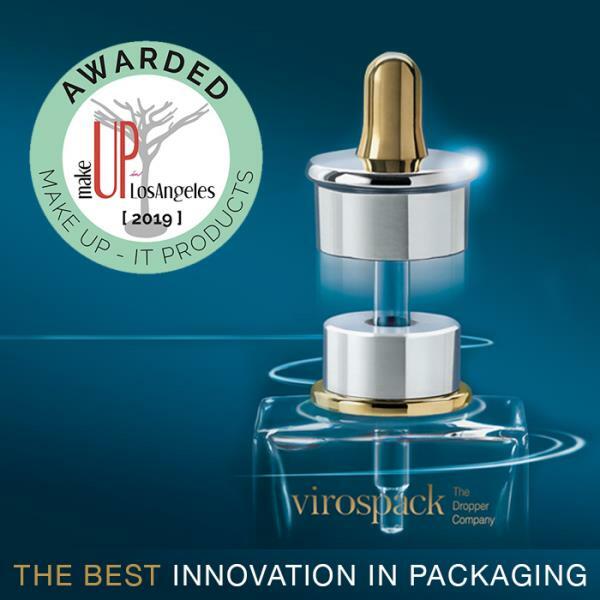 A professional committee of experts in formulation, packaging, full service and accessories, has awarded THE ORIGINAL MAGNETIC DROPPER by Virospack as THE MOST INNOVATIVE DEVELOPMENT IN PACKAGING for cosmetics, at the recent edition of Make Up in Los Angeles. This new concept for Droppers, which was the first on the market with a patented system of sealing through Magnetism, was developed and manufactured at Virospack's facilities after an elaborate industrial engineering adjustment. The complex development has once again been recognized for its innovation in the sector through its exclusive Magnet Technology. This time, it has been Make Up in Los Angeles' international jury that has selected the Magnetic Dropper for its prestigious Innovation Tree Products, and has announced it as the Winner of the 2019 Award for the Best Innovation in Packaging.